Popcorn. Who doesn’t love popcorn? I for one am a popcorn fiend. Sweet and Salty is my all time favourite, but I am partial to the more jazzier of flavours when I am feeling a little more adventurous. Butterkist Discoveries are inviting us to discover and explore their most adventurous popcorn to date, and as such have 3 varieties on offer. Butterkist Discoveries Salted Caramel, BBQ Pulled Pork and Sweet Chilli and Zesty Lime. I am a tad apprehensive about BBQ pulled pork so never one to turn down Salted Caramel, this was naturally the one I opted for. 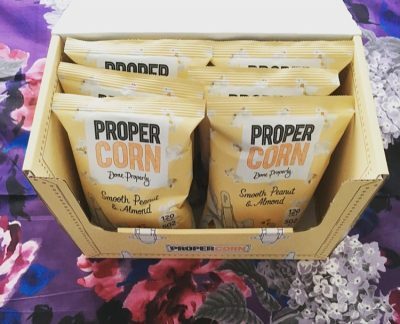 At 81kcal and 0.5g sat fat per 20g, this is relatively healthy popcorn in comparison to their other varieties. Pretty much every air-popped wholegrain was covered in a thick layer of glistening toffee. The caramel toffee is a tad artificial tasting and very sweet, but adds nicely to the crunch of the popcorn. 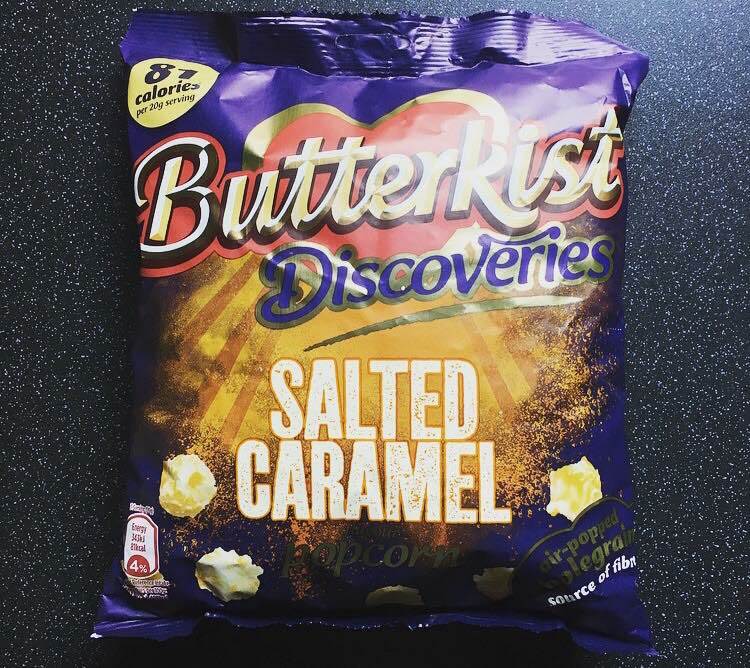 Now the question on everyone’s lips is, is the Butterkist Salted Caramel salted? Well it is and it isn’t, and appears to be very hit and miss. Some handfuls the salt was evident immediately, however was quickly overtaken by the sweetness of the caramel toffee. Other handfuls and there was no salt whatsoever. It too divided opinions in our household but the overriding conclusion was this really is a popcorn that you wouldn’t want a lot of. It is unbelievably sickly sweet and we had had enough of it pretty quickly. This is not a popcorn I loved and nor would I buy it again. 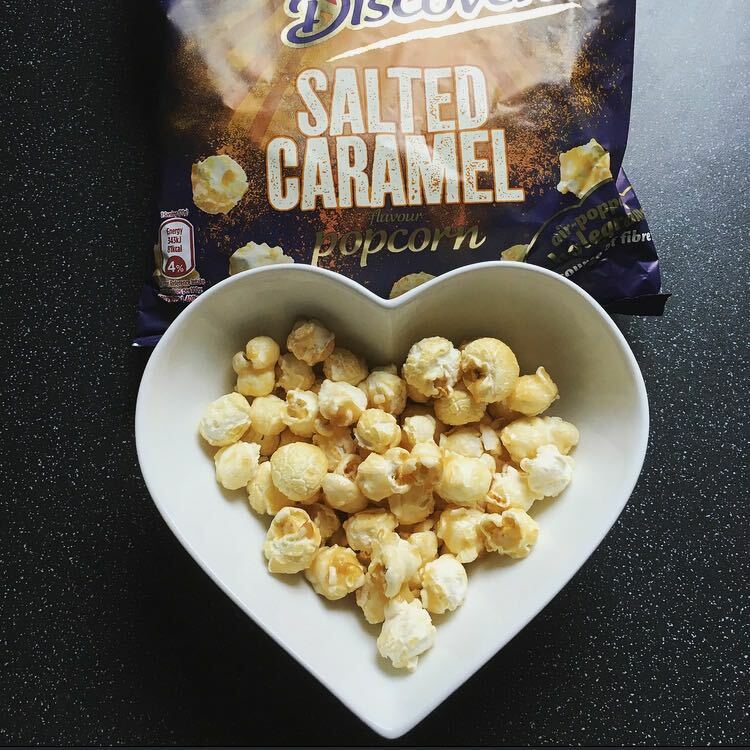 I question Butterkist Discoveries proclamation of discovering and exploring their most adventurous popcorns to date, frankly salted caramel really isn’t that adventurous given the amount of products that are available in salted caramel. 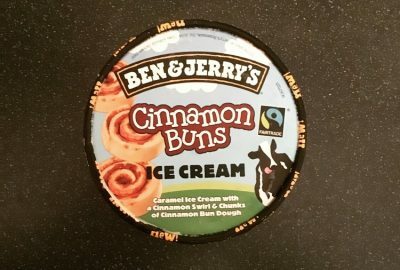 If you have a real sweet tooth then you may well like this one, but frankly there are many other flavours to choose from that are far more enjoyable.